Tired of waiting for PayPal services in Pakistan? Well thanks to MoneyGram and PayPal partnership which is all set to get your started receiving your money from PayPal account and that too without bank account or credit card, announced Dan Schatt, Head of Financial Innovations PayPal. MoneyGram has an international reach through its 284,000 local agents across 196 nations and areas that gives you real versatility and comfort. So with MoneyGram you’re never far away from a quick and simple cash exchange. You can also receive money with MoneyGram at Bank Al Falah, MCB, KASB, Bank Al Habib, Bank Islami,Soneri Bank, Habib Metropolitan Bank, Tameer Bank, Wall Street Exchange, Paracha Exchange, Royal Exchange, Dollar East and anywhere you see the MoneyGram sign. Receive Money Using MoneyGram via PayPal in Pakistan PayPal clients will be able to put money in and take cash out of a PayPal from any nearest agents of MoneyGram’s 284,000 places around the world, providing comfort to a wide range of different companies and clients. 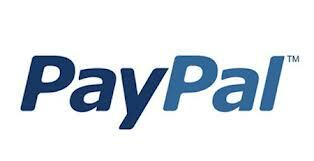 This contains clients who would like to use their money to spend off-line or online wherever PayPal is approved, or for suppliers that want immediate access to the money obtained in their PayPal account. It will also provide a fast and protected way for clients with immediate money transfer needs, like mother and father requiring to deliver money to their kids in college, reported PayPal Official Blog on Monday OCTOBER 22, 2012. For those of you without a credit card or bank account will now be able to use this service for easily converting your cash into payments. All you will need for this is your mobile number or email address. Visit a MoneyGram agent (locate one using Find Us), taking some identification* and your reference number with you. Complete our simple ‘receive’ form and show your identification – you will then be given your money, usually in your local currency. The service is predicted to be channeled in the US in beginning 2013, and progressively distributing worldwide. Following is the statement from the official PayPal Blog. MoneyGram location, and our retailer partners will benefit from the ease by which PayPal consumers and businesses can now access their cash to engage and shop more across all channels. The service is expected to be piloted in the US in early 2013, and gradually rolled out in the US and beyond. This latest initiative with MoneyGram is another example of how we’re enabling our digital wallet to work across multiple platforms and devices, online and offline, in order to offer consumers more control, flexibility and functionality when interacting with their money. At PayPal, we aspire to help people get more of what they want through better, simpler financial services and products. Well I know you have in depth research on it. Looking forward to it. We will send you the payment instantly after receiving the funds ( Sometimes it take up to 10 minutes to show up in your account). The payment will be sent after deducting our fees ( Our fees: 1 USD for every 100 USD exchange). Based in the United Kingdom, this company is the second most popular e-wallet after PayPal. There are over 4 million members who use this method of money exchange daily. Its service package can satisfy most of the banking needs of the average person. Moneybookers customers are allowed only one account for both business and personal transactions. The biggest edge Moneybookers has over PayPal is that customers can withdraw cash from almost any bank in the world as long as the bank is listed on the SWIFT network. PayPal restricts direct withdrawals especially in third world countries.